I'm always impressed by your ability to edit night-time indoor photos. I'm terrible at it and if I don't trash the picture completely, I always end up a bit embarrassed of my lack of skills in that department. 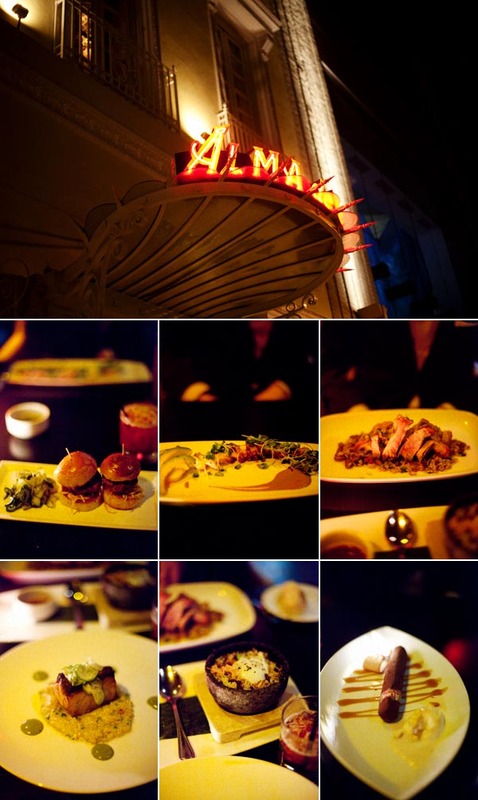 Also, I actually really like those shots from Alma de Cuba. Sometimes I get bent out of shape trying to get a "perfect" shot, but remind myself that the environment in the restaurant is just as much a part of the experience, and thus should be part of the photograph, too. I certainly think this is the case - the yellow cast and blue shadows make me feel like this place is just totally happenin'. Impressive processing for such high ISO. I love the mussels shots. You take very well photos of dark objects which I always fail to do. These high ISO shots are still very nice! Very usable. It's what is so tempting to me about the mkii, the low light capabilities. Also, you go to the yummiest places. Beer, mussels and frites sound awesome about now. You did a fantastic job of just going with it, and with the recovery. Having fought (and lost) at ISO25600, all I can recommend is to look at it again (much) later; you will better about it. And remember; in a pinch, convert to B&W. Noise is good! not so bad for high ISO! these are all came out really nicely, even with the high ISO! Your camera is impressive! It's the reason I want to upgrade to mkii! I really like the pictures, I think they are very cool! Wow! I all ready wanted a 5d MKii but after seeing these low light photos makes it even more desirable! Glad you chose to work on these photos & keep them. Isn't it funny how with film we never throw anything away yet we are more expendable when it comes to digital files?